Gambling is big business in the Philippines with the country expected to earn as much as $5.6 billion in 2018. Sports betting is wildly popular in the Philippines and contributes a large percentage of that revenue. While online gambling is popular and profitable, the laws surrounding it are mixed and can be confusing. Luckily, this lack of clarity works in favor of Philippine citizens as they can easily play at the best online sportsbooks. Learn more about the legal climate surrounding sports betting in the Philippines, the types of bets Filipinos can place on games and how to fund your online sportsbook account. There are hundreds of sportsbooks that take bets from Filipinos on a regular basis. A majority of the action focuses on basketball and football, but you citizens have the option to place bets on any sports from around the world. What do you want to bet? Philippine sportsbooks make it easy to bet your favorite teams and games. You can also find action on major sporting events like the MLB World Series, NBA Finals, the FIFA World Cup, and world championship boxing matches. 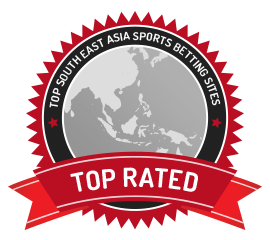 The best online sportsbooks serving the Philippines are licensed by major authorities such as the U.K. Gambling Commission. Make sure to only play at sportsbooks that are licensed to ensure honest betting and world-class security. Don’t forget to check out the promotional offers at each site. They will allow you to stretch your deposit dollars. Welcome bonuses often give a match bonus of 100 percent or more, giving you at least double your deposit to place bets. Learn more about available offers by visiting the promotions section of your preferred sportsbook. Is Sports Betting Legal in the Philippines? Sports betting is only legal in certain situations in the Philippines. In the Cagayan region of the Philippines, online gambling is only authorized to foreigners but illegal for citizens. In all other regions of the Philippines, online gambling is operated by the Philippine Amusement and Gambling Corporation (PAGCOR). However, citizens are not allowed to bet from their homes. Instead, they must go to PAGCOR-operated betting outlets across the country. While that makes non-PAGCOR betting sites illegal to Filipinos, a ruling in 2012 by the Court of Appeals of the Philippines ruled that the Presidential Act that created PAGCOR does not ban foreign-based casinos or the ability of Philippine citizens to play at them. As such, many online sports betting sites now take bets from the Philippines. What are Popular Sports to Bet on In the Philippines? Filipinos are interested in a wide variety of sports, but their passion centers on basketball. The country has a rich history in the game, and there’s a lot of action on Philippine Basketball Association (PBA) and NBA games from the United States. There’s also a lot of interest in national team games and tournaments such as the FIBA World Cup. Football is also very popular in the Philippines with most of the focus on the international leagues such as the English Premier League. There’s also a lot of action on major sporting events such as the FIFA World Cup. Other popular sports to bet on online include boxing, tennis, baseball, MMA and esports. Bettors have to pay taxes on all winnings at sports betting sites. How much you pay depends on the amount you earn. Any prizes that are over PhP 10,000 are subject to a flat tax of 20 percent. The sportsbook typically withholds these taxes, but it is possible that an international sportsbook will not withhold these taxes. Otherwise, online sports betting earnings are supposed to be declared as ordinary income and reported at the end of the year. Depending on your tax situation, you will have to pay anywhere from five percent to 32 percent on your gambling earnings. We recommend that you consult a tax accountant or tax lawyer for more information about online sports betting taxes. Depending on which sportsbook you choose, your options for depositing may be limited compared to other parts of the world. Some of the larger sites such as 888poker will accept credit cards, debit cards, bank transfer and a large variety of e-wallets. However, at other sportsbooks you may find options further limited. We recommend that you look into depositing with Neteller or Skrill if options are limited. These e-wallets tend to be the easiest to set up and are widely accepted worldwide. A couple of atypical deposit options for Philippine customers are Entropay, MoneyGram and Western Union. Entropay is an e-wallet that provides you with a virtual Visa card number that can be used to make deposits. Entropay is a popular option for players in the Philippines and other parts of Asia. Western Union and MoneyGram will allow you to send funds electronically either online or from a physical location to your sportsbook. While a bit more involved than other methods, they are an excellent last resort for players who are unable to use other deposit options. Note that most deposits are instantaneous except for MoneyGram and Western Union deposits. Those may take up to 48 hours to process. If you prefer to place bets via your smartphone or tablet, then you should check out mobile betting options offered by your preferred sportsbook. Most sportsbooks offer some mobile betting option. The majority of sportsbooks now provide a mobile-optimized version of their website, which means you can access their site through your mobile web browser. Mobile-optimized sites are coded so users can access all of the same features on their mobile devices as they can via their computers and laptops. In most cases, the sites offer the same functionality as the PC version. If your sportsbook has a mobile-optimized site, we recommend you use Google Chrome or Safari to access their website. Some sites still require that you download a mobile app for your iOS or Android device. However, many of these apps will feature limited functionality compared to the PC version. What this means is that betting will only be available for the most popular games and styles of betting. Also, you may or may not be able to deposit into your account using mobile apps. To learn more about any available mobile betting options, check the mobile section of your preferred sportsbook.